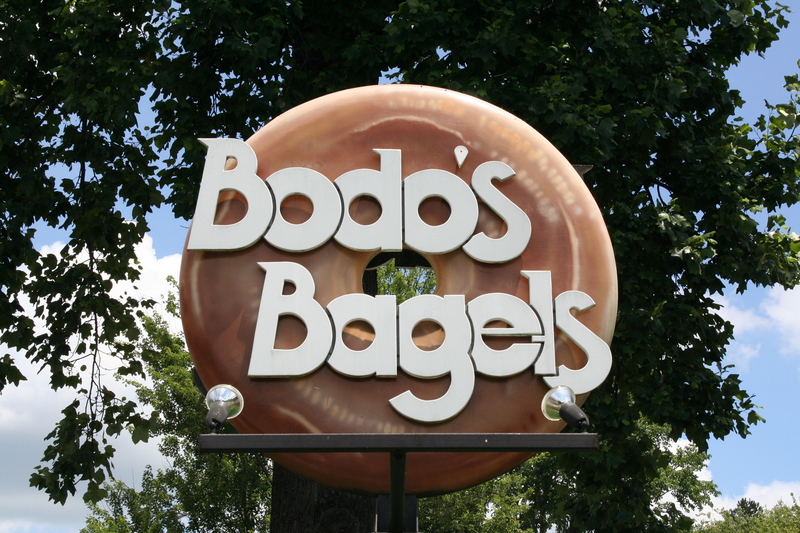 Here is your chance for a once-in-a-lifetime experience with Bodo’s Bagels, while helping to feed the area’s hungry. It’s The Charlottesville 29 Restaurant Auctions, presented by McGuireWoods. Along with all of the other restaurants in The Charlottesville 29, Bodo’s has created a signature experience available to whoever pledges the highest donation to The Blue Ridge Area Food Bank. Thanks to the generosity of Bodo’s and Potter’s Craft Cider, the winning bid goes directly to the food bank, and each dollar donated is enough to provide four meals to the area’s hungry. So, a winning bid of, say, $3,000 would mean not just a wonderful meal for the winner and their guests, but also 12,000 more meals for the area’s hungry. How often do four national champion coaches come over for breakfast? Bodo’s is the undisputed champion of fueling our area’s athletes, and the winner of its auction will enjoy a catered brunch party with four national champion UVa coaches: Brian Boland (men’s tennis), Brian O’Connor (baseball), George Gelnovatch (men’s soccer), and Julie Myers (women’s lacrosse). Bodo’s will come to the home of the auction winner and serve an enormous array of bagels, cold spreads, smoked salmon, and fixings, for the auction winner, the coaches, and up to forty guests. To add to the fun, the auction winner will receive two cases (24 bottles) of Potter’s Craft Cider award-winning ciders as well as plenty of organic juice from Lumi, including Harvest Apple and, of course, Wahoo Orange. And, to preserve memories of this dream experience for a lucky Hoo fan, acclaimed photographer Tom McGovern will capture images of it all, including an 11 x 14 group shot of the auction winners and coaches.It’s a Breakfast of Champions with Bodo’s. Note: The auction winner will schedule the brunch party at a time that is mutually convenient for the coaches, at a home in the Charlottesville area. Bidding for the Bodo’s auction ended on July 17, 2016.